20 Mule Team Borax wants to help make your spring cleaning a breeze by giving you a chance to enter daily to win a steam cleaner PLUS a whole years' supply of 20 Mule Team Borax! 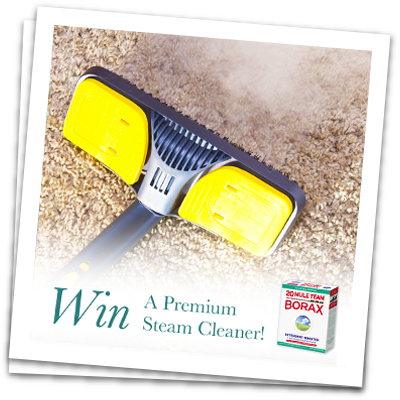 One grand prize winner will receive a steam cleaner and a year’s supply of 20 Mule Team Borax. Approximate Retail Value (ARV): $550.00.